There are lot of things to do this Christmas season in Sioux Falls! The Falls display the splendor of the season with a dazzling display of lights! Over 355,000 lights create a Christmas spectacle to behold throughout the park. 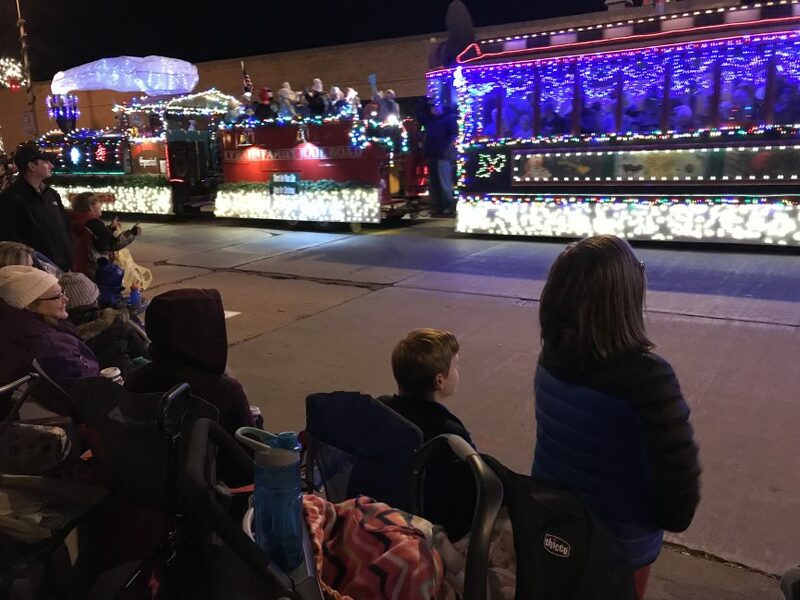 The Day after Thanksgiving is the perfect segue into the spirit of Christmas with the Sioux Falls Parade of Lights, where area organizations and businesses in Sioux Falls come together to light up Phillips Avenue with Christmas cheer. Many Sioux Falls churches celebrate the Advent of Christmas and remind us of the miracle of the first Christmas. Visit the religious organization of your choice to celebrate with your family, or celebrate with us at Sioux Falls Vineyard Church at any of our Inbreaking: The Kingdom Come at Christmas services each Sunday in December. In addition to serving hundreds of meals each day, The Banquet has a “Shower Our Guests with Care” campaign this holiday season. Consider volunteering your time and giving donations to this great ministry in Sioux Falls! Dakota Holidays sponsors the Christmas Lights & Lanes Map, showing the location of fantastic light displays throughout the city of Sioux Falls. Pick your Christmas tunes and hit the road for a drive through town that’s sure to thrill young and old. Okay, and one bonus one…. Don’t miss the “Living Nativity” at Southern Hills United Methodist Church at 3400 E 49th St on December 1 from 6:30-9:00 pm.